9:30 a.m. - Vehicle entries may leave to join parade, and may return to the show. 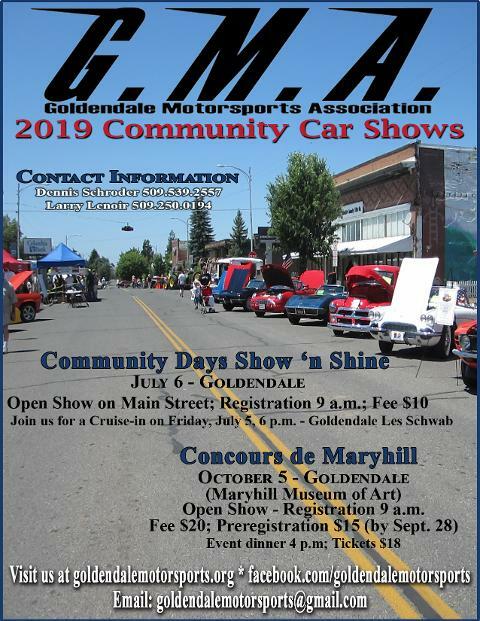 Schwab for raffle prizes, followed up by a cruise to the historic Maryhill Loops Road where there will be a Grand Prize raffle of two $50 gas cards. Hot Wheels racing contest – Prizes in three age groups. See Hot Wheels Rules and learn more about the Hot Wheels Race.